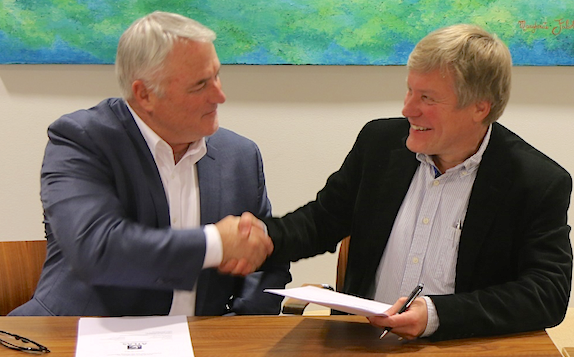 Taking a big leap forward, the Finnish Meteorological Institute has entered into a co-operation agreement with ATLAS Space Operations, Inc. to provide polar orbit, ground station services to ATLAS’ customers – adding an additional ground site to their global Freedom Ground Network™. The Finnish Meteorological Institute is further developing its Artic Space Centre to support both Finnish and international Earth observation satellite communications. Mike Carey of ATLAS and Research Professor Jouni Pulliainen signing the contract. FMI will begin support for ATLAS’ partner, the National Oceanic and Atmospheric Administration (NOAA), collecting Polar Orbiting Environmental Satellite data downlink. Moving forward, this international collaboration aims to further enhance their knowledge of the Artic environment and improve weather forecast accuracy on a global scale. Jyri Heilimo, Head of FMI Arctic Space Centre said that Public-Private-Partnership enables cost efficient and flexible collaboration between national institutional offices. Satellite ground stations are costly investments. Collaboration such as this maximizes the efficiency of the investments for all parties, in particular the satellite operators as customers. Mike Carey, Founder and Chief Strategy Officer for ATLAS Space Operations said that establishing this partnership with FMI is a critical step in the advancement of ATLAS’s capability in the Arctic for supporting polar orbiting spacecraft. 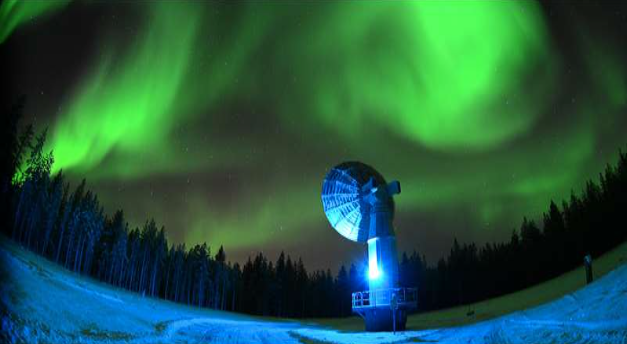 FMI Arctic Space Centre operates satellite ground station in Sodankylä, Northern Finland. The northern location above Arctic circle, enables Arctic Space Centre to provide excellent support or polar orbiting satellites. 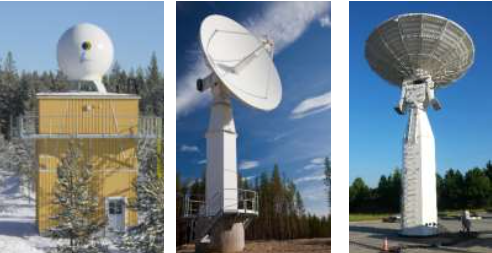 FMI Arctic Space Centre operates also National Satellite Data Centre that archives Earth Observation data, disseminates satellite data and provides data processing services to Finnish users and international partners. Atlas Space Operations, listed by Morgan Stanley as a 2017 Top 12 disruptor in the satellite industry, is a ground-to-space communications service provider. ATLAS brings more data down from space, faster, and more affordable than ever.